Like what you’ve seen on our website? 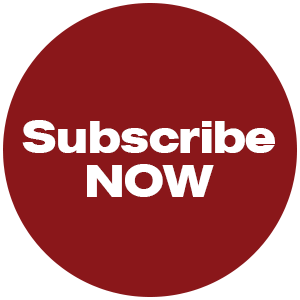 Buy a subscription today and get access to even more news about the Catholic Church in your neighbourhood, plus extras that never make it on our website, such as the lives of the Saints, weekly devotionals, opinions and letters. Simply choose one of the subscription offers below. You can even purchase subscriptions as a gift for friends, family, religious men or women, priests – the options are endless. Our digital edition has the same layout as our print edition, but complemented by a variety of interactive digital tools which enhance your reading experience. You can read your digital edition any time of day, wherever you are on a computer, laptop, iPad /tablet, iPhone / smart phones. Our digital subscription gives you access to 50 issues on your computer, laptop and smart device. 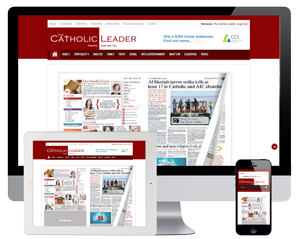 Subscribe to The Catholic Leader print edition and receive it straight to your door weekly. Our annual subscription gives you 50 issues. Our printed weekly edition helps you stay informed with the important issues that affect you, your family and your faith. Most of our readers say it takes them more than a week to digest everything inside. Why not try it for yourself? Subscribe to The Catholic Leader print edition and receive it straight to your door weekly. Our 6 month subscription gives you 30 issues. Get both best of both worlds with weekly deliveries of our printed copy right to your door as well as our digital edition straight to your inbox. And at just $10 more than our print edition, you can’t go wrong with our Ultimate Deal. Buying Subscriptions for a Group or School? Overseas subscription rates are available on application.